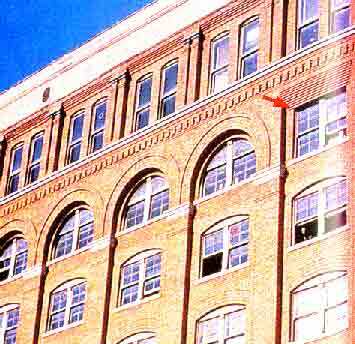 From this building, Oswald was claimed to have shot at President Kennedy (arrow on sniper's nest). Yet many witnesses reported to see men with rifles at the sniper's nest and at the opposite end of the sixth floor. The Commission denied this assumption.